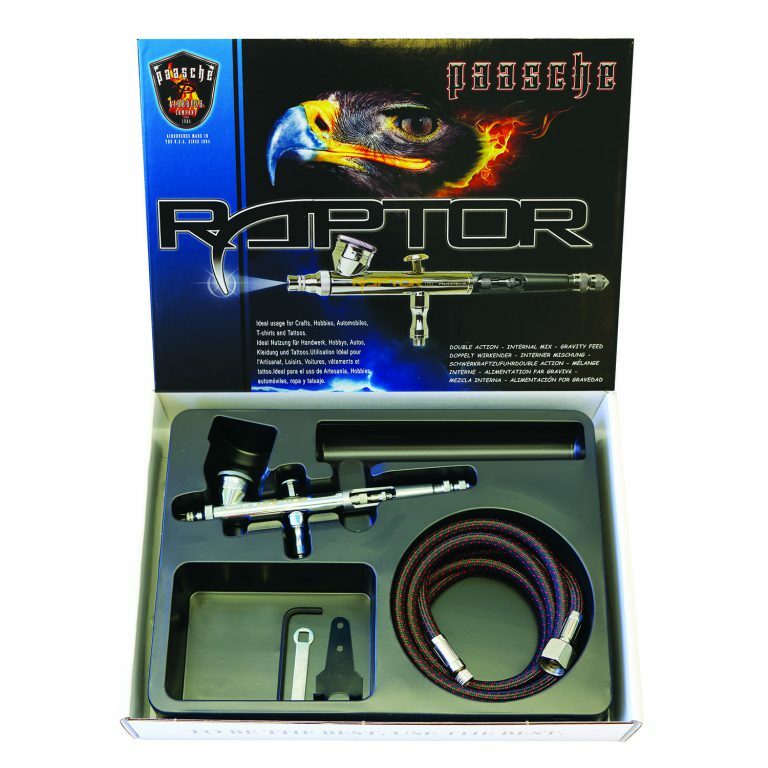 The Paasche RG is a double action gravity feed airbrush. The airbrush features a chrome plated body and anodized aluminum handle for durability. The RG is a fine detail airbrush allowing the user to achieve hair line detail. A PTFE packing allows the RG to handle any water or solvent based paint. Clean up is as simple as spraying your paint cleaner though the airbrush and wiping of the needle. The RG is best used for those requiring high end detail. Applications including automotive graphics, models, taxidermy, cake decorating, tattoos, finger nails, graphic arts, illustration, etc. 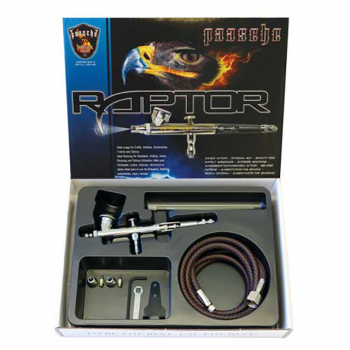 The RG airbrush is made and assembled in the USA. Spray Pattern Hair Line to 1"